Once you determine how much cash you have to spend, go online. Check out websites like FoodNetwork.com, RecipeTinEats.com, Epicurious.com, AllRecipes.com, and BarefootContessa.com. Do a Google search, typing in Top Recipe Websites or Top Recipe Blogs in the search bar. You will be amazed at the results. 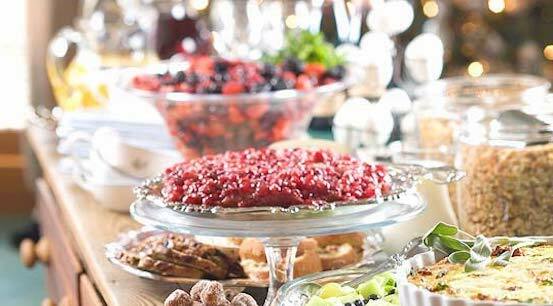 Pay particular attention to websites and recipes devoted to holiday fare, particularly hors-d’oeuvres. Look for recipes that do not include pricey ingredients like seafood or imported gourmet items. I would go for lots of variety rather than one or two selections. You’ll want to try a few ideas ahead of time since you don’t want any surprises come party time. And remember that in addition to the festive items you select, make sure you have several dependable standbys that are delicious and also filling. This will round out your menu. 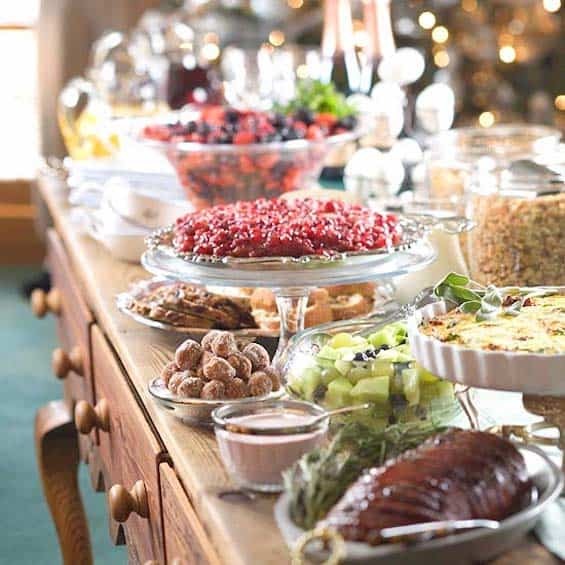 Make sure your presentation is spectacular, so get out your nice trays, platters, baskets and other serving pieces. Inexpensive paper doilies set on serving plates can dress up a party table for just pennies. Lots of candles placed strategically will give an elegant glow. Dear Gladys: Thankfully there are no tipping laws; no tipping police, either! Keeping in mind that you have already paid these people for services rendered, ask yourself: Am I particularly grateful because this person made my life easier because he or she did more than required? For those who rate a “Yes,” express your gratitude in a way that fits your ability, not according to what you think is expected. A monetary gift in any amount is one way to say thanks to service providers, but it is not the only way. Never underestimate the value of a handwritten note on pretty holiday stationery. A gift of homemade cookies or another special treat with a nice note is always appropriate and appreciated, too. Any expression of gratitude that comes from your heart is never wrong.